DMR systems provided for our local HAMs. The N4LMC 444.7125 system atop Lookout Mountain covers Chattanooga and south. The W4PL 444.150 system located atop Signal Mountain covers Chattanooga and north. Both systems are members of the Brandmeister System and are identical in what they carry and have access to. Another unique feature is that the Local TG2 on both repeaters is clustered so that no matter which repeater you’re on, if your local you’ll be heard on the other repeater as well! Also, Brandmeister TG 31133 is static on TS2 on all N4LMC, W4PL and W4DMM DMR systems in the area, making that Talk Group a TAG (TN, AL, GA) Tri State coverage feature. Feel free to link up any TG of your liking. As with any repeater system, be polite and make sure no one is using the TG first… then enjoy! After a period of RF input activity, the system will automatically unlink all TGs except 3100 on TS1. 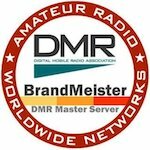 DMR-MARC has stopped registration for Users and Repeaters. To register and obtain a CCS7 ID, go to https://www.radioid.net or https://register.ham-digital.org. You are free to take these Code Plugs and modify / use them however you wish. We do not provide support for these nor do we provide Code Plugs for other radios. If you create a Code Plug for another make/model of radio, please share your work with others as we have shared ours, “pay it forward”! Send us a copy and we will put it up for download with credit to you. BrandMeister allows linking to any talkgroup simply by setting that talkgroup number as the “TX Contact” for a channel. This is done by programing a channel for the repeater you want to use with the “TX Contact” set to the desired talkgroup number. You can then use the channel as you would any other channel for that repeater. This is the preferred way to link to a talkgroup you use regularly, as this programs it as a channel in your codeplug. Enter “5000” from keypad as a “Private Call” for status .